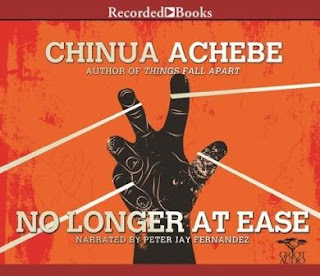 The book No Longer at Ease by Chinua Achebe tells the story of a Nigerian man named Obi Okonkwo who struggles with cultural identity and loyalty. The story deals with many topics including nationalism, colonialism, conflict and self-identity. The novel by Achebe focuses on a young man's life and his lost connection with his African roots. Throughout the novel the author shares many themes of conflict and struggle. This struggle extends from his personal perceptions of what is right and wrong, but also addresses the conflict that exists within the country of Nigeria during the for the ruling elite" comes out (Hamilton, 2002). The story takes place primarily in the setting of post-colonial Nigeria. The main character spends time both in his native country and in Europe. The main character of the novel, Obi, grows up in his native Nigeria, a country that has witnessed the spread of colonialism and mingled those traditions with the traditions of native people's living in Nigeria. In the novel, Obi travels to England in search of an education, and then returns to Nigeria only to find that his country has lost all of its "soul"(Hamilton, 2002). 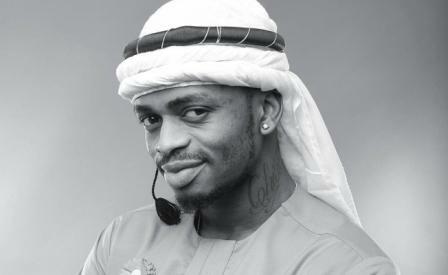 The European influences he recognized while attaining his education have actually permeated his native country enough to make it difficult to differentiate between Nigeria's true culture an Throughout the work, Obi finds he can't improve life for his fellow Nigerians in the manner in which he desires. He desires that his native people recognize their own culture as something to be proud of and enthusiastic about. The protagonist of the No Longer at Ease, Obi Okonkwo, is a young man born in Ibo in the Eastern Nigerian village of Umuofia. He was well educated and eventually sent to study law in England, a course of study he eventually changed to English. He stays in England for nearly four years, at times longing for the warm weather of home and all the other nostalgic qualities his memory supplies him during long winters abroad. Nevertheless, his arrival is less than what he has expected. Because he is educated, he is given a "European post," and he works in an office whose ethics he finds repulsive. He stands firmly against the bribery that goes on and is opposed to his boss, a very old, white, and English colonial man named Mr. Green. Obi finds himself in a constant battle between traditions of the world into which he was born (that of the village and his traditional African roots), represented by the Umuofian Progressive Union, and the conventions of a changing world. Obi finds himself at the beginning of a generation of change, caught between two worlds. He is unable to marry the woman that he loves because she is considered an outcast. He claims to want to marry her anyway because by the time he has children, the world will have changed, and it will not matter, just as it does not matter now that his father is a convert to Christianity (a conversion that was once quite scandalous). Still, Obi loses his fiancée, his mother, and finds himself in serious debt throughout the course of the novel. He must pay back his scholarship loan and is responsible for sending money home. Eventually, Obi breaks under all of this pressure and gives in to the bribery he had stood against so idealistically, but he does not give in without guilt. At the end, he even claims to be finished with bribery, right before he is caught. Somehow it is too late, and his situation, his position of being caught between two shifting worlds, becomes almost impossible. Obi's birth name is Obiajulu which means "the mind at last is at rest," and this naming is a looming irony, considering the title of the novel and Obi's predicament. Obi is ill at ease in both of his cultural experiences—he lies in the middle, a difficult place. Clara is another character in the novel that is struggling in the changing world of pre-independence Nigeria. She is educated abroad, like Obi, and has a career as a nurse. She has a mind of her own and is often stubborn but shows herself to be quite caring, nevertheless. The first one-on-one conversation she has with Obi was regarding Obi's seasickness (she had gone to his cabin, on their voyage home, because she had seen that he was feeling ill). She is also willing to compromise, and, although she finds Obi's poetry boring, she is willing to listen to it. She is also willing to meet with friends of Obi's that she dislikes. While she seems quite spoiled at times, she does her shopping in the slums and is willing to genuinely give Obi money to save him from trouble, even if he is unwilling to take it. However, the truth remains that she is a difficult person, perhaps because she finds it difficult to let go of her past. She is strong-minded though not intellectual and finds herself bound to a tradition that seems unfair to both her and Obi. She is burdened by the fact that she is an osu, which means that because of her ancestral past, she is an outcast. It is for this reason that she cannot marry the man she wishes to marry. Though Obi claims he does not care, he respects the ultimatum of his mother, which is that he must wait until she is dead, or she will kill herself if he marries Clara while she (his mother) is alive. This upsets Clara, and it is after this that they have their final break-up, after which Clara is hospitalized because of complications during an abortion. During this time Clara refuses to see Obi. From the beginning Clara's romance with Obi was on unstable ground. Symbolically we need only to look at where Clara and Obi first began their relationship: in the water, on turbulent and fluctuating grounds. The character of Mr. Green is representative of the white, European presence in Africa that resulted from the spread of England's empire and its colonial hold on Nigeria. He is an arrogant man, who believes that the African is "corrupt through and through" and that it is the British who have brought Africans civilization and education. Nevertheless, Mr. Green seems to be committed to Nigeria, and there are characters in the book such as his secretary, Miss Tomlinson, who constantly support him in spite of his "strangeness." Miss Tomlinson, however, is also a white Englishperson living in Nigeria. The narrator tells the reader that Green works long and hard hours, but this "quality" is constantly being uprooted by reminders of his colonial attitude and superiority complex. He thus has a problematic relationship with Obi, who is an educated African in a European post. Still he believes in education, which makes it both ironic and fitting that he pays for the education of his steward's sons. Mr. Green finds it a problem that Africans ask for weeks off at a time for vacations. However, this tradition was actually started by the very Europeans who held these high posts in civil service prior to the Africans themselves. These contradictions are constantly arising out of the character of Mr. Green. He is an archetypal figure of patriarchic colonialism that finds it difficult to relinquish such a position. In fact, when he thought Nigerians would attain independence, he had threatened to resign. Significantly, Mr. Green is a figure of an older world that is constantly present in the Nigeria of the late fifties, which Achebe portrays, only several years before its eventual independence, when a figure like Green will remain a problem but eventually become obsolete.